They are filling your Facebook feed already. All those adorable first day of school photos, with kids in brand new school clothes, fresh faces with new haircuts ready for the school year. Don't get me wrong, I love seeing these and I will most certainly be taking them for my kids. But as I'm clinging to the last few weeks of August, I also want to capture the summer with all its sunshine and messy glory. So I decided we needed an official photo keepsake to capture what we did this summer. I've created a free printable so you can create your own end of summer photo keepsake too! Summer goes by too fast. It seems like only yesterday we were planning a Memorial Day cookout and now Labor Day (and the first day of school) is right around the corner. I've tried to make the most of our summer days, especially since its the last one before my boys start preschool. We've checked almost everything off our summer bucket list, from playing in the sprinkler to going on a picnic. We've enjoyed every moment, and I want to be sure to remember these fun carefree days. I'm taking the boys for their back to school haircuts this week, so the wild waves of summer will soon be gone. Before that happens, I want to capture them in all their silly summer splendor. 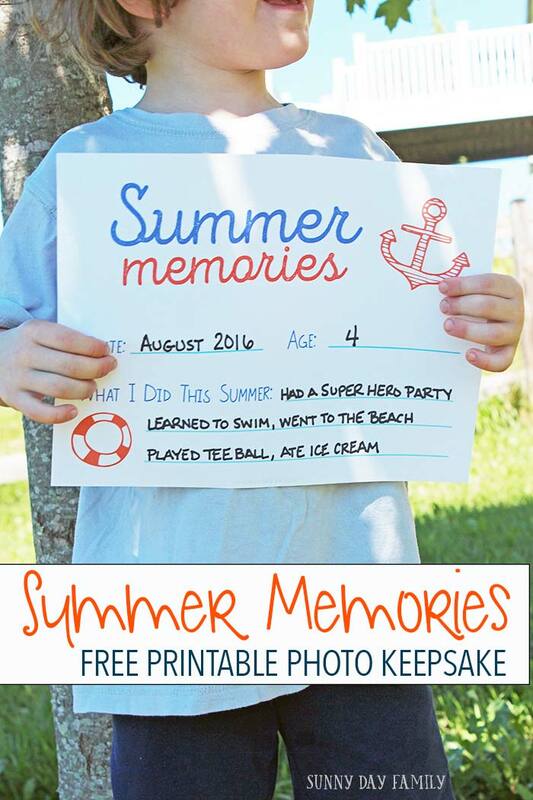 So I created this printable for the perfect summer photo keepsake. This printable was inspired by all those first day of school photos that are flooding Facebook and Instagram right now. But instead of capturing that first day, this printable will help you document your summer. 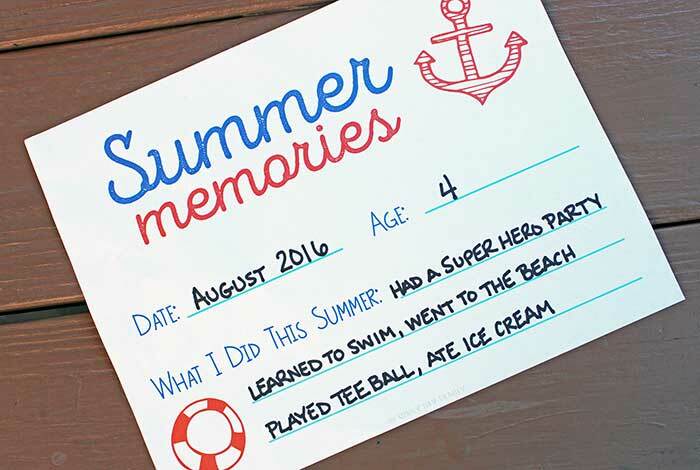 It has a space for the date and your child's age, along with a couple of lines for them to write down their favorite summer memories. Once you have your favorite summer moments captured, you can have your child hold the sign so you can get that perfect summer photo. We took ours in our backyard since that's where most of our summer memories are made. 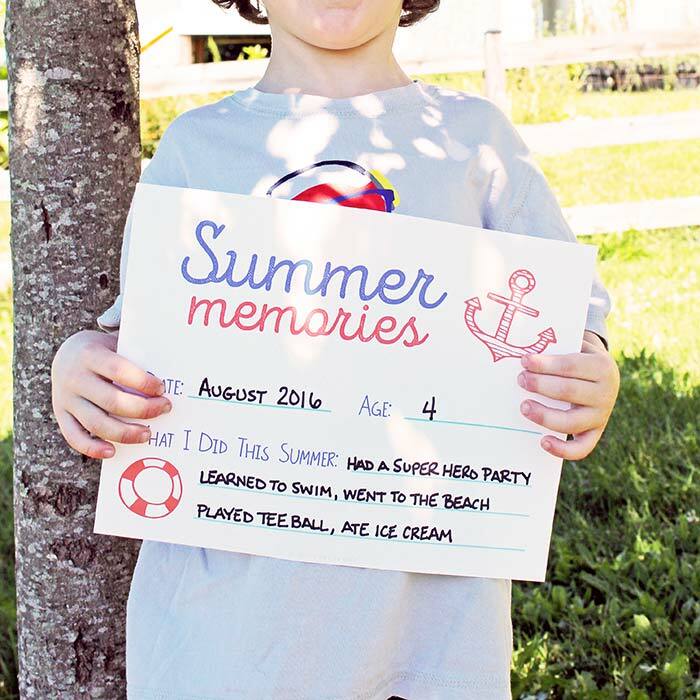 You can get your own summer memories printable for free, just click the button below! It's not too late to make some amazing summer memories, and what better way to do it than with a late summer getaway! I love to travel in mid and late August, when crowds are lighter and you can often find great deals. One place I would love to take my family is Ocala/Marion County Florida. When it comes to Florida Travel you have a lot of options, and Ocala checks a lot of the boxes on our summer bucket list. With everything from golfing and fishing for my husband, to boating, swimming at the springs, and biking for our family, plus some shopping for me, there are countless Ocala/Marion County Activities for the entire family to enjoy. It's perfect for a late summer getaway with so many ways to experience outdoor adventures! And its central location means an easy drive to major theme parks or even a major league baseball game (that's always on our list of things to do). And what better place to take my animal loving boys but to the Horse Capital of the World™? Ocala has officially had that designation since 2007 and it's easy to see why. Ocala/Marion County is home to more horses than anywhere in the country, so there are activities for horse lovers young and old. Whether you want to tour a horse farm, watch an equestrian competition, or take a leisurely trail ride, you can find it all in Ocala. We would LOVE to take a trail ride like this! If your family has horse lovers too, be sure to check out all the Ocala/Marion County Activities, perfect for your late summer getaway. There are Ocala/Marion County Lodging options to fit any family and any budget. What a great way to make even more family memories before you head back to school! What's your favorite summer memory? Leave a comment below or message me on Facebook and let me know!